Note: Web users will find the Get Add-Ins option in the ellipses menu next to the reply & forward buttons. 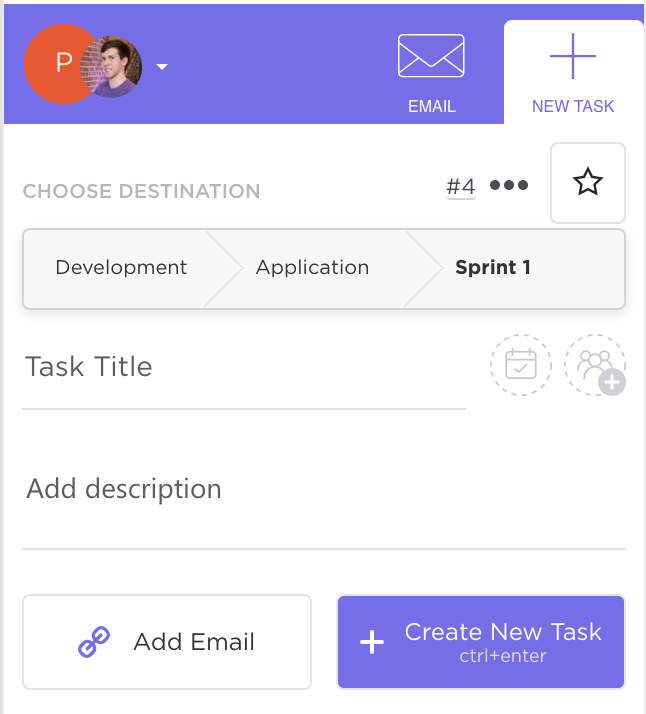 Save a default destination for tasks making this the fastest way to add new tasks! Click the ClickUp button at the top of your email to generate a full HTML record of the email. Note: Web users will see the ClickUp button in the ellipses menu on an email message. 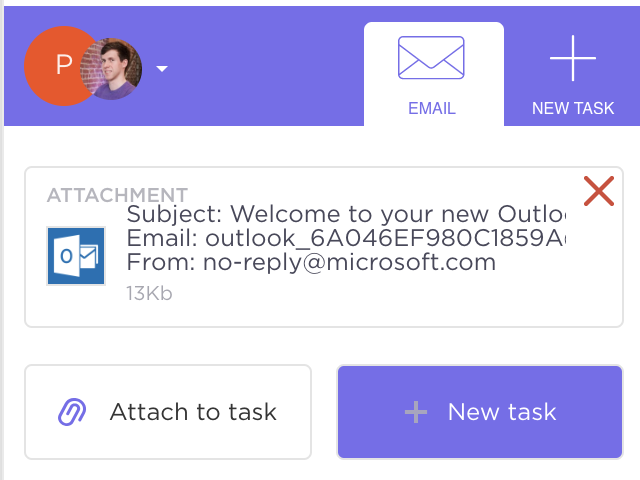 ClickUp will attach the email to a task or create a brand new one with the email attachment included so you can quickly view, jump back, or download the email! To see your Teams, click on the avatars at the top left corner. Switching to a Team is easy. Just click on it! To add a new team to the extension, click on the plus "+" icon next to Teams. You will be shown all of your teams and can choose which ones you'd like to use.